It doesn't leak, keeps coffee warm (or water cold), looks great and comes in three sizes. For years, I searched for the perfect to-go coffee mug. They all ended up gathering dust in the back of my kitchen cabinet. Some leaked, others were difficult to clean, and many were just too big to be practical. Then, I found the Hydro Flask. If there is a perfect travel mug out there, this is it. 1. It comes in three sizes, including a compact 12-ounce. Often, I drink my first cup of coffee at home, and then want just another cup or two to take on the road — without having to lug some giant, oversized vessel. TheHydro Flask comes in a 12-ounce size, which is perfect for typical mornings — and it easily fits in cup holders. But, if you do like to take more coffee with you, it also comes in 16- and 20-ounce sizes. 2. The flip-top lid doesn't dribble all over you. It seems like a no-brainer that a travel mug should be easy to drink from, but many aren't. Some are screw-tops (dangerous while driving, and just plain inefficient), and others are just not well-designed. Hydro Flask's flip-top lid can be opened one-handed, with the flick of a thumb, and the opening sits down low enough under the lip to keep coffee from ruining your outfit before 9 a.m.
3. It doesn't leak. Period. You can turn this thing upside down, toss it in your bag, knock it over in your car, and as long as the flip-top lid is shut, it will not leak. 4. It stays warm. In our tests, the mug lost about 10 degrees of heat every hour. So, a 170-degree cup was only down to 110-degrees (still hot) after six hours. This is how long the company says the bottle retains heat. (It credits the "double-wall vacuum insulation technology.") 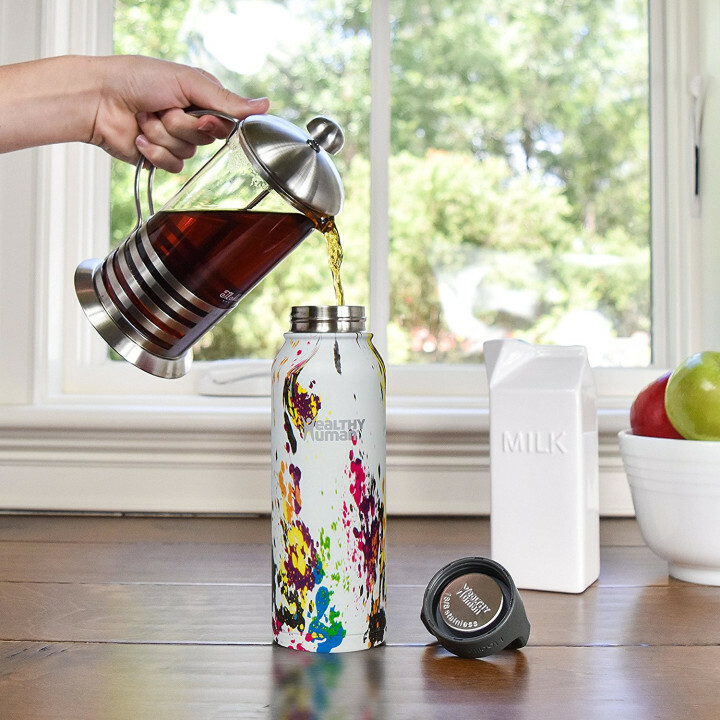 The flask will also keep beverages cold up to 24 hours. 5. It's pretty easy to clean. Like any mug with a vacuum seal, the dishwasher can ruin it. But it's still pretty easy to clean by hand, since it doesn't have too many parts — just the mug and lid, plus a gasket in the lid that stays in place and miraculously doesn't get gross. It's best to soak both the lid and mug in hot, soapy water, though the cap is technically top-rack dishwasher safe. 6. It comes in a bunch of colors. Aside from classics like black, white, stainless and graphite, the flask also comes in cheerful colors like kiwi green and flamingo. I recently went to order another one — for a houseguest who raved about the mug — and was not surprised to see I wasn't alone in my love. 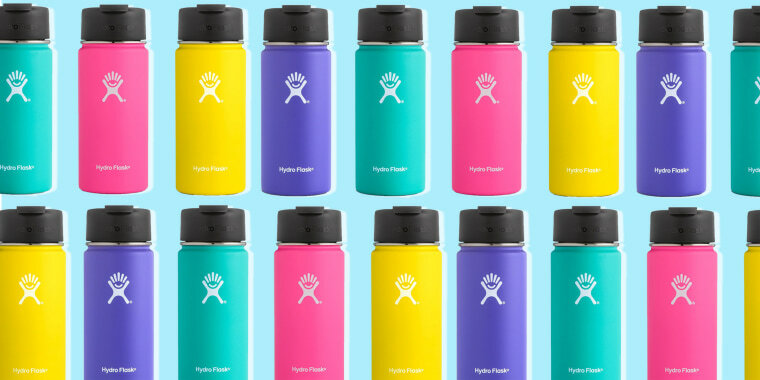 The Hydro Flask is closing in on nearly 4,000 five-star reviews on Amazon. Lots of other people, I noticed, buy the largest size for water, as it doesn't sweat or leave rings on tables. Some reviewers (and one TODAY editor) even noted that ice cubes were still intact at the end of the work day. The truth, though, lies in the excessive use of caps and exclamation points ("Best Drink Bottle EVER!!!" or "Life changing!" or "I LOVE THIS THING"), and general outpouring of emotion. One user even likens it to something "forged in the heart of a dying star, like Thor's hammer." Wow, and I thought I liked the thing. 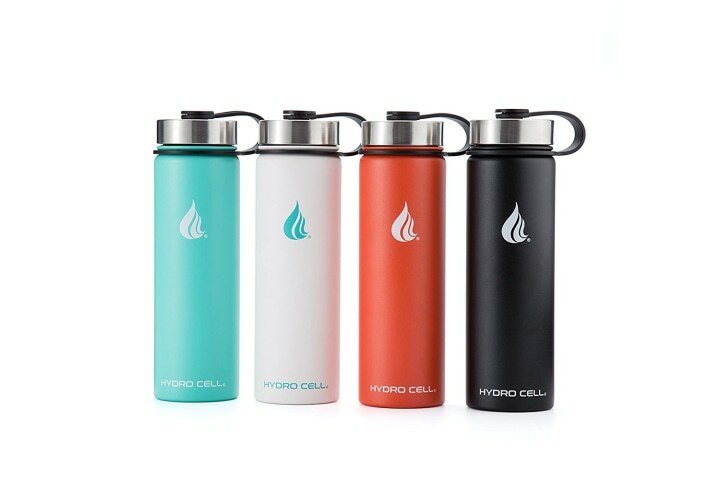 Coming in either 12, 17, or 25-ounce sizes, this bottle was designed to keep water cold for up to 24 hours, while keeping hot tea or coffee hot for up to 12. 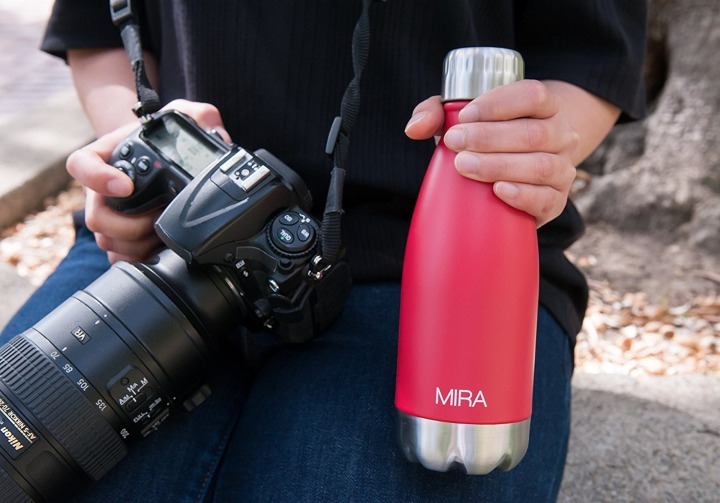 With funky, colorful designs, the manufacturer claims these bottles not only keep liquids cold for 24 hours and hot for 12 hours, but it can also keep liquids "PIPING HOT" for 6 hours. This bottle holds either 22 or 32 ounces of liquid, the vacuum seal regulates temperature, and the stainless steel material prevents sweating.